Oh boy, time does fly when you're playing an MMO. If you guys haven't noticed yet, I've started playing FFXIV. What a godsdamn mistake that was. Now I can't stop playing it! I haven't been this addicted to an MMO since classic WoW. But enough about me, I must needs go through with this update, which doesn't have any FF at all! Also, today marks the VIP's ⑨th birthday! Who would've thought it'd still be here? I did! I want it to live forever! This starts the meme block. "AYBABTU" was considered the meme to end all memes back in my day. A lot of people didn't even know it came from a small game called Zero Wing. I was once obsessed with this average game that I wrote really bad fan-fiction and even created game projects based on it. But that's all in the past now. The reports of my death have been greatly exaggerated. Yeah, I know it's been a while and I apologize for that. I had a big project for a few months at work, which was pretty hectic. Now that the project's done and I'm unemployed, I can get back to shitposting full-time. Back to the playlist! I've incurred a large amount of update debt, which I will now repay excluding interest! I also added a special notice track for Chrome users. Just kidding, this really is a playlist update! And it's a big one! This time, I'm giving some extra attention to VIP Mellow, which hasn't been updated in a year! The VIP is 8 years old today! Just imagine 8 years ago, a small video game playlist of around 100 tracks was posted on 4chan /f/. Now it's got over 1100 tracks and can barely load. Thank you all for listening! In the spirit of the season, this update will be winter-themed. 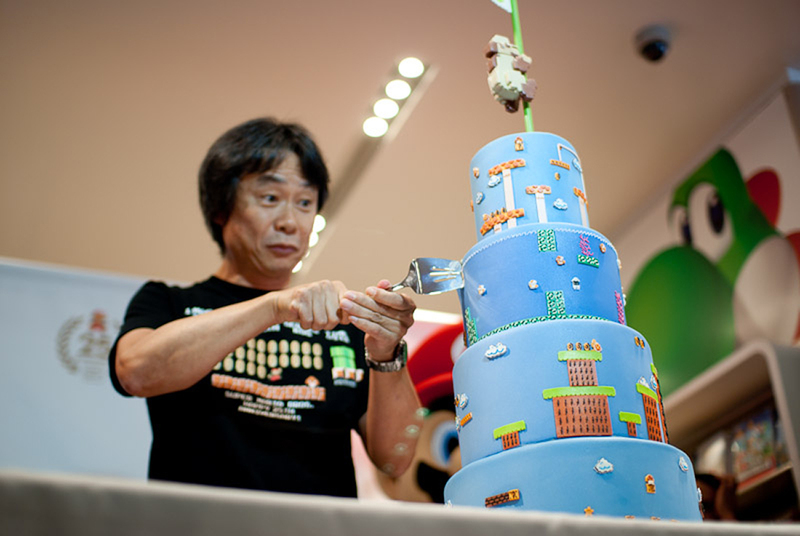 Today(Nov 16) is Shigeru Miyamoto's 64th birthday! Imagine that. He's now as old as the Nintendo 64! So here's a quick update with only Nintendo stuff. Famicom Guitar is a talented Japanese dude who likes to remix Nintendo music. In fact, you can get his tracks for free!